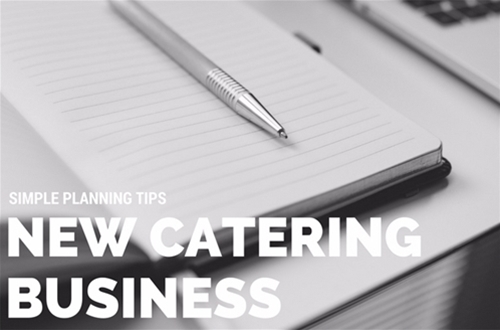 Making the initial decision to start a catering business requires a lot of planning if you want your business to remain in the percentage of businesses that stay open after the first year of trading. Some simple planning tips that can get you started. Before doing anything, you must cement your purpose. Narrow your offerings down to a speciality. Even if you want to offer various things, you should have a prime focus. You may find later you want to switch that focus, and that is okay. You may find your local market is oversaturated with the thing you wanted to try. You may even want to dive into a niche that is underrepresented, if you feel you can handle. No matter what, find that focus. This will represent your selling point. Create a menu around that theme. and how much you can do on your own. These are just example questions. Just keep in mind all the things you will need to prepare, make, serve, and clean up a meal. From there, start asking yourself questions about how to best expand that to multiple clients. You will also need to figure out just what kind of equipment will serve you best. At this point, you do not need to get too in-depth. For example, if you need an oven and stove top, it is good enough to say just that. Later, you can refine your equipment choices to find the ones that will serve best for your types of dishes and your location. and any new information as you learn it. Try to make your notes as detailed as possible. The more detail you have, the better you can judge how everything can work in concert later. What you write is not set in stone. You can always make changes as you learn new information. Keeping everything documented will only help you going forward. 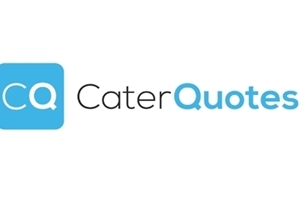 How catering businesses work can vary from county to county, and even county to county. You know what you want to do, and you know what you need. Now you should figure out if it is possible. Are there other businesses doing what you want to do? Are there locations more suitable for what you want to do? Is there somewhere that can benefit from your particular culinary style? You can even take it further and go visit a few places that do catering similar to the style you want to do. Keep in mind there is going to be competition around you. Learn from them before you attempt to compete with them. This process will also help you to scout locations to find one that may fit your needs. and get that dish out for serving or delivery. You do not need to have it down to an exact science, but it is good to have an idea of how you want your kitchen to flow. This will also help you to scout locations. You will know if the space is too small or otherwise unsuitable to your needs. Knowing the kind of layout you want can help you figure out how to handle catering from your home as well. If you choose to rent time and space from an already established commercial kitchen, then knowing how you want things setup in advance will help you choose the right one. You have everything you need to put together a solid plan for your business. This will come in handy for many reasons at this stage. If you are seeking financing, then having a thought-out and documented plan goes a long way towards that. It is also possible you will need to submit a plan for various forms of licensing. Now it is time to start the process of making it a reality. And that requires paperwork. No matter what, stay the course. This part can become frustrating. Just remember to follow all instructions to the letter. Submit the right paperwork, apply for the right licenses and permits; make sure you insure the aspects of your business that come with the most risk. If you become stuck or lost in this process, ask for help. Search online; reach out to your relevant government departments. Ask other locals that are in the food industry. 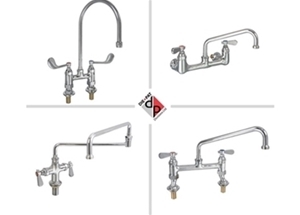 and the Catering Equipment Suppliers Association (CESA). This will let you know you are dealing with professionals in the business, who serve professional foodservice businesses. 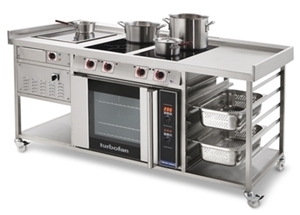 It means you are guaranteed high quality, industry standard equipment, including specialised equipment. Also, look for flexibility. If you are just starting off, you may need to finance equipment, or purchase second-hand. You can also look into commercial grade equipment that performs multiple jobs. For example, if you do not have much space, you can try a solid top with refrigerated doors. Or, you can utilise a heavy-duty mixer, with various attachments to facilitate difference processes. The more ways you can save space, the better off you will be when you are starting off. Consider things that can help you with your day-to-day activities, rather than specialised, single purpose equipment. This is all even more important if you are working mainly alone. Also, as a catering business, it is not just all about the equipment and utensils. It is also about the smaller items. These things will depend on the type of catering business you choose, but you will likely need something from each of these categories. Give everything a little test run, but prepare to start taking orders in earnest. There are a million ways to market your new business. It will depend on your budget, and how much you are willing to do. You can start for free or nearly free with social media and blogging. From there you can move up to brochures and even TV spots. No matter how you go about marketing, make sure you show your business in the best light possible. Also, make sure to present yourself as a leader in whatever it is you plan to serve. Yes, there is a lot to it, but when you break things down into easy steps, it gets a lot easier to accomplish. Also, do not stop writing things down, even when you are in full swing. Document your experiences. Write down how well, or not so well, your equipment is doing. You should always strive to improve and grow. If you become stuck, start over from the beginning to swing that focus back to where it started.